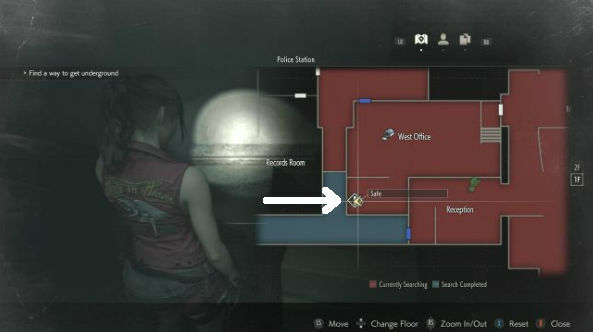 The Resident Evil 2 Remake loves to tease your lack of inventory space, especially when you really want to carry more weapons or ammo but must prioritise key items first. In this guide I'll explain how to upgrade your inventory space to gain more slots and ultimately reduce unnecessary trips to the item box. By now you've probably discovered the item boxes scattered throughout the map. These large trunks are purposely designed to allow players to move inventory items between their character inventory and the boxes storage space. Without additional inventory slots, these boxes are your only choice unless you want to discard items permanently. The problem with item boxes is that they're always located in fixed positions, with only a couple per area. This means you must visit the box and return to the new item you want to pick up again. If you're going for a fast run through then item boxes MUST be avoided or strategically used. So how do you actually increase your inventory slots? Well, you're going to need Hip Pouches, which look like small bags. These collectible items immediately increase your inventory space with two EXTRA slots. At the beginning of the game there are two easy pouches which I'll cover the locations for below. By collecting both of these pouches you'll effectively increase your inventory so an entire new row of slots (x 4) are available for item storage. This should save you many wasted trips to the item box as you progress through the more complex stages of the game. The first Hip Pouch is very easy to acquire and it's hidden near the start of the game, inside a locked safe with an old fashioned dial lock on the front. The safe is inside the West Office of the police department, tucked in the corner of the smaller side room. 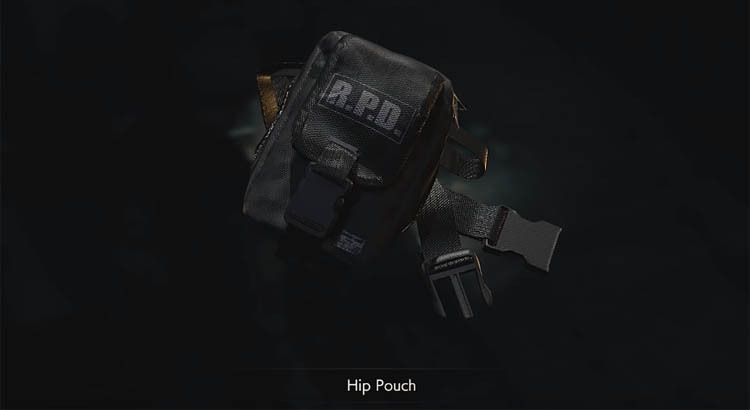 The second Hip Pouch is also fairly near the start of the game. It's located above the Library in the RPD (3F), near the C4 explosive that's strapped to the jail cell. This part of the map might seem inaccessible to new players so it's important to recap slightly on how to gain access to this area. To make it up to the third floor (3F) you need to have access to the stairwell that leads to the showers (2F). 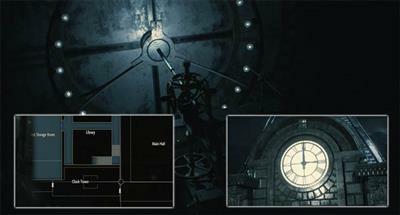 This route becomes available roughly 45 mins into the game, once you reach the Dark-Room area (1F). The stairwell beside the Dark-Room leads all the way up to the third floor (3F). Once inside the jail cell area, the Hip Pouch is easily visible on the table, opposite side from where the C4 explosive is.